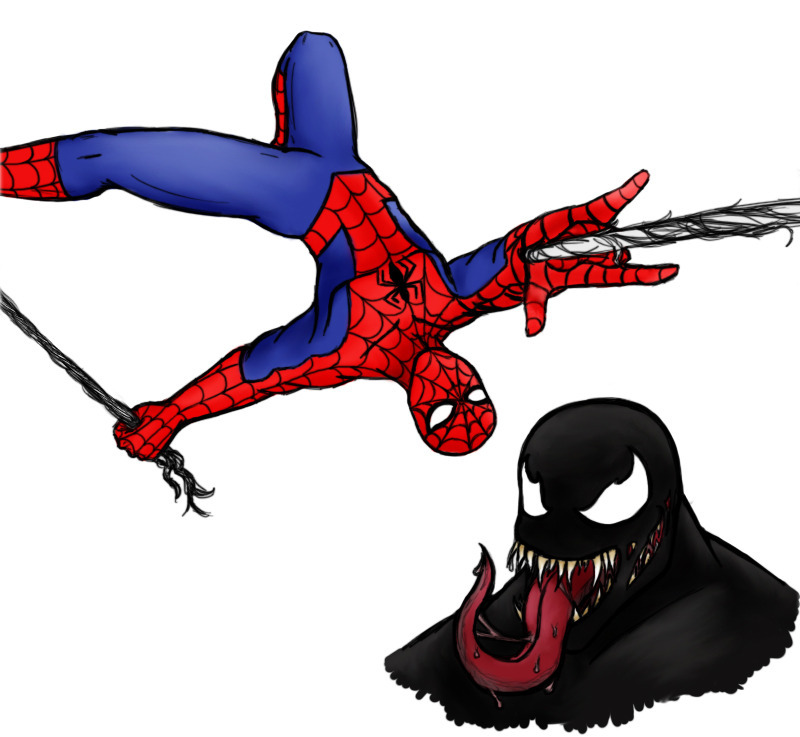 Gotta love Spidey and Venom. Done with no references, hence Spidey's awkward upside down swinging status. Looks like spidermans 90s style.